Well, I'm out of my trench. 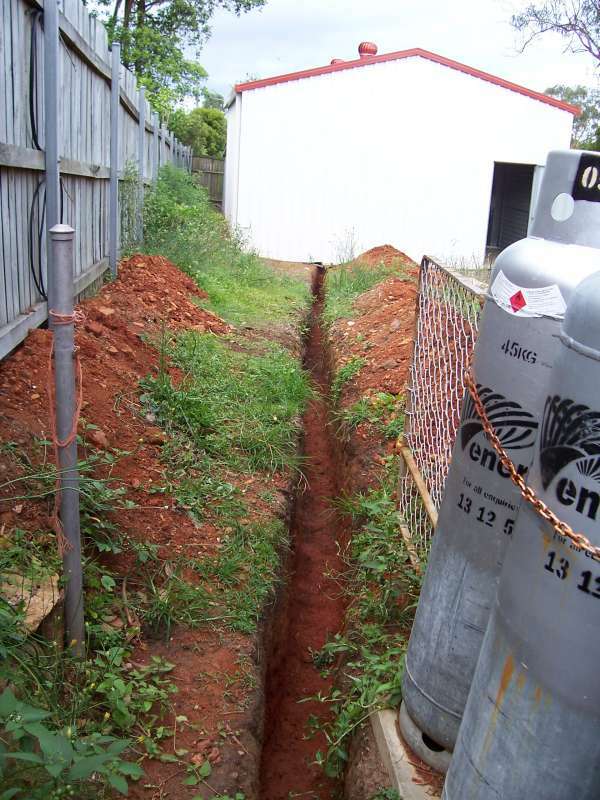 After what feels like an eternity I've finally completed the trench for power to be put on to my shed. The progress became very slow when I hit rock about 150mm from the depth I had to make it. Luckily the rock in the Redland is a soft sandstone and I could break it with a mattock in most cases, and a pinch bar when it got really obstinate. Why do it manually? Firstly, I wasn't in a huge hurry, and I thought if I took it steady I'd get there, and I did. Secondly, it would have been difficult, if not impossible to get a machine in the back yard to do it and as it turned out a little machine would have been unable to dig the rock. Consequently, I would have been left to dig the rock out by hand anyway. As the soil down to the rock wasn't that hard to dig, I would have paid money for a machine to do the easy part of the work and left myself with the hard bit. Anyway, it is finished now! So, now I'm waiting for the sparky to come and wire up my shed. It will be good to have a functional workshop when it is all complete. The trench in all its glory. 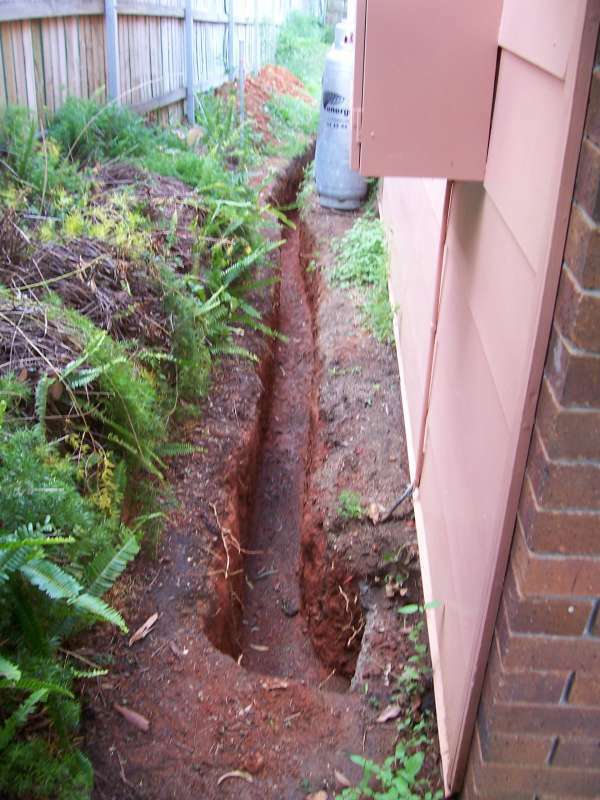 I have to say that is probably the most perfectly dug trench I've ever seen! It's like you got a level out to do the sides. No wonder it took so long! Just 'cause you are working in mud and rock does mean you shouldn't take pride in what you do and be neat.